A total of 45 Team GB athletes competing at the Rio 2016 Olympic and Paralympic Games received financial and training support from the GLL Sport Foundation (GSF). The Foundation is the brain-child of GLL, the Country’s largest operator of public sports facilities. The first 24 of the GSF athletes to compete were part of the Olympic Team that produced a stunning performance and surpassed the Olympic medal tally from London 2012 with 67 medals. The GSF supported Olympic athletes produced an impressive 7 medals, also beating the amount gained by GSF athletes in London (6). 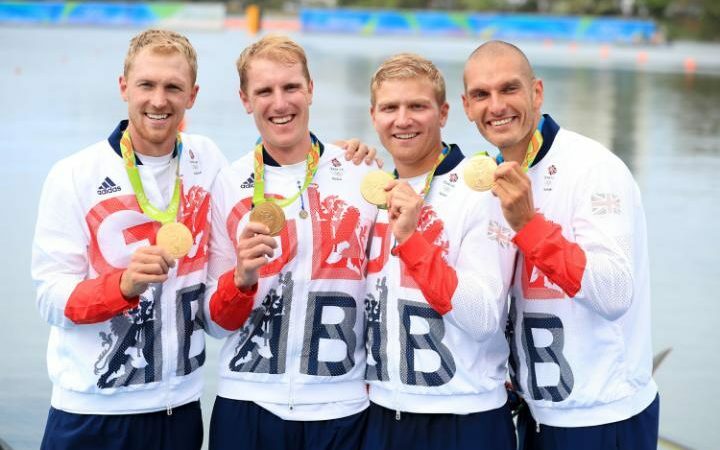 This included three rowers from South Oxfordshire won two golds and a silver medal out in Rio. Constantine Louloudis has been a supported athlete for several years now and is an ambassador of the programme. Coming away with Bronze at London 2012, he has now gone two better and won Gold in Rio. As part of the Men’s Four this time round, the Blue Ribbon event, Team GB were favourites to win which created a lot of pressure for Constantine. This event is Britain’s flagship – the boat which has been unbeaten at the Olympics since Steve Redgrave, Matthew Pinsent, James Cracknell and Tim Foster triumphed at Sydney in 2000. 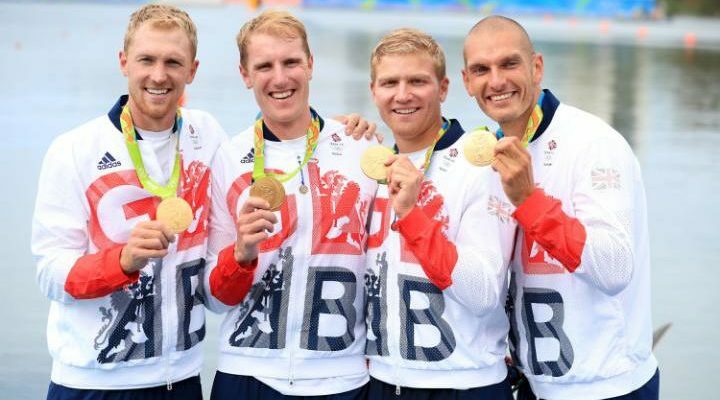 Team GB were favourites in this event with them winning their fifth consecutive Olympic Gold. Constantine spoke about the pressure that was put on them to come home with a Gold medal. “We are the top ranked men’s boat in perhaps the top rowing nation in the World, it was on us to win it. We had to do that. Having never really felt a sense of duty to country before, I really felt it that time”. Scott Durant made his Olympic debut out in Rio also coming back with a gold medal as part of the men’s eight. Scott was selected to race in the men’s four for the 2015 season. They won gold at the European Rowing Championships in Poznan, Poland, finished 5th at the second World Cup in Varese and 9th at the final World Cup in Varese. To conclude the 2015 season, Scott won a bronze medal in the men’s four at the World Rowing Championships in Aiguebelette. Having had a great 2015 season, Scott showed his talent and was rightly selected for Team GB to compete at the Olympics. Scott’s said, “My aim for the 2016 season is to win an Olympic Gold medal in Rio. I also aim to win medals at the World Cup series on the way to Rio. The award will help me to pay for equipment necessary to aid me in my training such as a GPS and/or a new bike”. He certainly achieved his goals, with some funding from the GSF to help along the way. 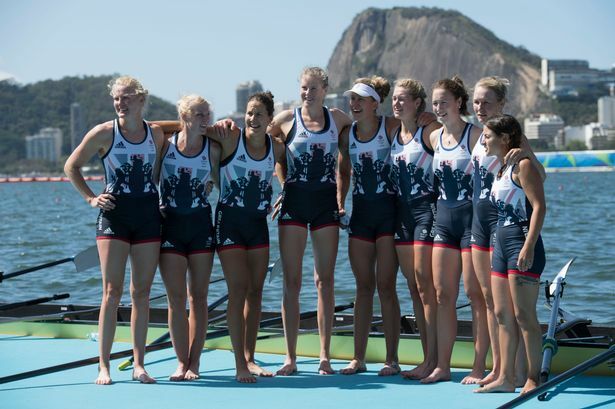 Olivia Carnegie-Brown also made her Olympic debut out in Rio winning a silver medal as part of the women’s eight. Having just graduated from Oxford Brookes University as a physiotherapist, she can now add an Olympic medal to her achievements. Olivia said, “My aspirations in rowing have always been to represent Great Britain at the Olympics in Rio. Any support financially will help me to put rowing first for the final push towards an Olympic medal”. Olivia is only 25 years old so will be aiming to medal again at the Tokyo 2020 Olympics. Former Olympic, World, European and Commonweath Champion Sally Gunnell; Patron of the GSF has remained committed to supporting young athletes since struggling herself to find funding support during her early years of competition “As Patron I have been able to proudly champion the need for positive recognition and tangible support directly to young sporting talent. I know from personal experience that many young athletes struggle to meet the costs associated with increased training and competition to reach their sporting dreams”. The GSF is the largest independent athlete support programmes in the UK and in 2016 has supported over 2000 athletes with financial and range of training support. To date over £6.1million has been put into athlete support across Olympic, Paralympic, Special Olympic and Deaflympic sports. In partnership with SportsAid, the Foundation works directly with the established ‘talent pathways’ of Sport National Governing Bodies. A massive 90% of award recipients receive no other centralised funding, with 73% of award recipients being 21 years old and under, and 35% aged 16 years and under. Peter Bundey, GSF Chair stated “We are so delighted that these athletes delivered such fantastic medal-winning performances in Rio. Their performances captivated our Nation and will inspire so many other young athletes to strive to follow in their footsteps”. With these successes and to inspire the next generation GLL are hosting Open Days at Better Leisure Centres all over the country in conjunction with ITV and I Am Team GB offering free tasters in a number of different activities on Saturday 27th August.